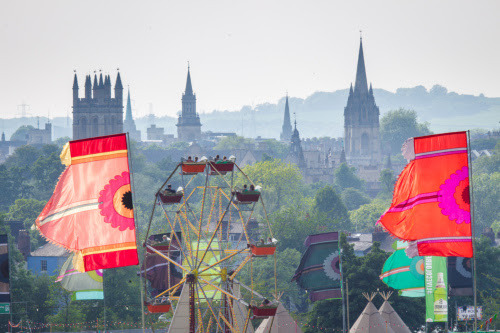 After an incredible debut, Common People will return to the stunning greenery of Oxford’s South Park for a bonkers bank holiday bonanza on 27th and 28th May, 2017. Make sure you don’t miss out. Secure your place now! VIP tickets also available and will sell out fast. The inaugural two-day music and arts festival saw the likes of Duran Duran, Primal Scream, Craig David’s TS5, Katy B, Public Enemy, Soul II Soul, Gaz Coombs, Jamie Lawson and many more take the helm of the Common Stage along with a plethora of local acts gracing the Uncommon Stage, all topped off with a lavish helping of the Bestival team’s renowned magic, mayhem and merriment. Uniting party lovers across the heart of England and beyond. To celebrate Common People’s return, we are offering Special Summer Offer with adult tickets starting at only £22.50 for general admission and £45.00 for VIP access for a limited time only Tickets on sale from 10am, Friday 12th August, head to www.commonpeople.net for more info. And there’s more good news. In 2016, Common People made a huge impact on the local economy generating an estimated £1 million through our policy of booking local bands and DJs, using local food and drink suppliers, partnering with local businesses and attracting 25.5% of the audience from outside of Oxford! That’s something we are very proud of.